AISIN AW Co., Ltd. (AW hereafter), with its headquarters located in Aichi Prefecture, is one of the world's largest manufacturers of automobile parts. In particular, its share in the AT (automatic transmission) field is the largest in the world. Their number of units sold has surpassed 140 million. 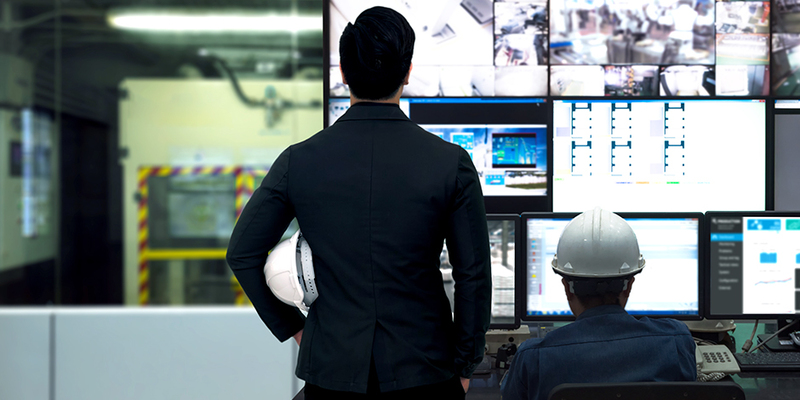 Recently, many manufacturers are accelerating their efforts to create a "Smart Factory." However, not a few of them experience obstacles such as collection of data and developing the infrastructure for accumulation of this data. Amidst this situation, AW's Okazaki Plant already had the foresight 10 years ago to develop a data collection environment. It is now achieving favorable results in automation and autonomy utilizing AGV (automated guided vehicle), robotics and AI. 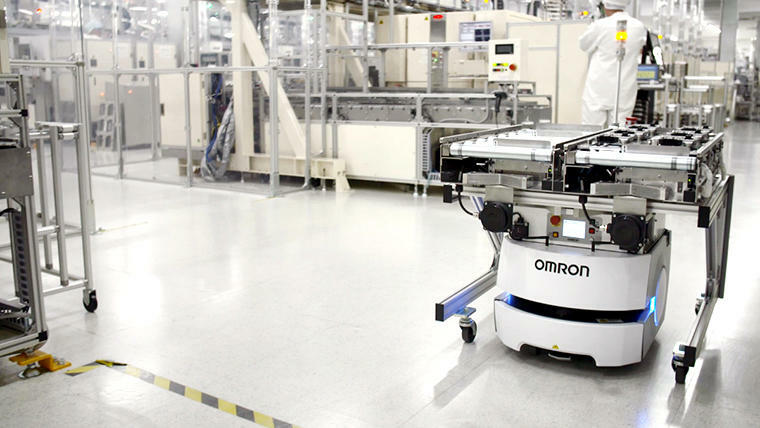 This article describes the challenges of Okazaki Plant who partners with OMRON to bring innovation to the manufacturing lines. 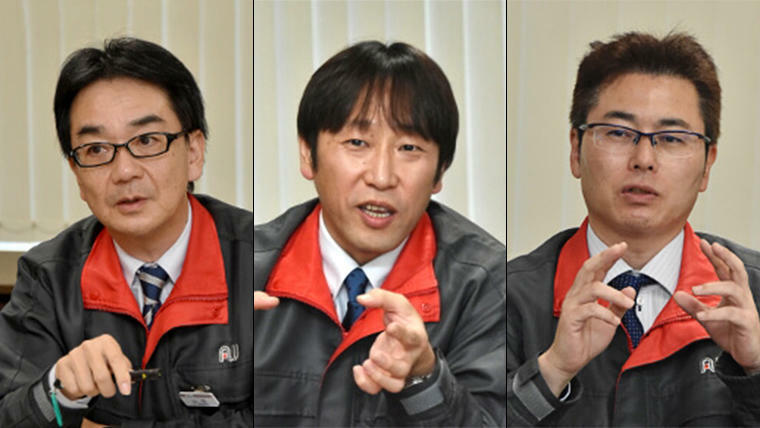 Okazaki Plant focused first on making production lines smarter. In 2008, it produced the "GPI (Global Product line Information) Grid System" as an information infrastructure. Its further reinforced its efforts to make factories smarter in 2016 by focusing on "effective utilization of data." As a result, the facilities owned by AW have all their data collected, recorded and centrally managed by the GPI Grid System. This led to a significant improvement in efficiency and optimization. Today, various production data of their 650 units in and outside Japan are all collected using this grid system. In addition, AW developed its own middleware that is easy to view for everyone. The system is rapidly updated whilst it solves specific problems that arise at the production line. 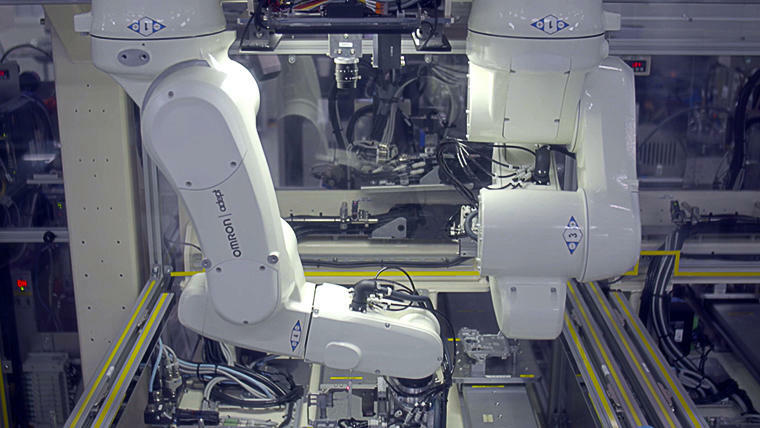 As the next step, AW took on the challenge to bring about automation and autonomy in their factories. In parallel with "data utilization" initiated with the GPI Grid System, it advanced its activities to expand areas of automation and autonomy using robots and AGV. 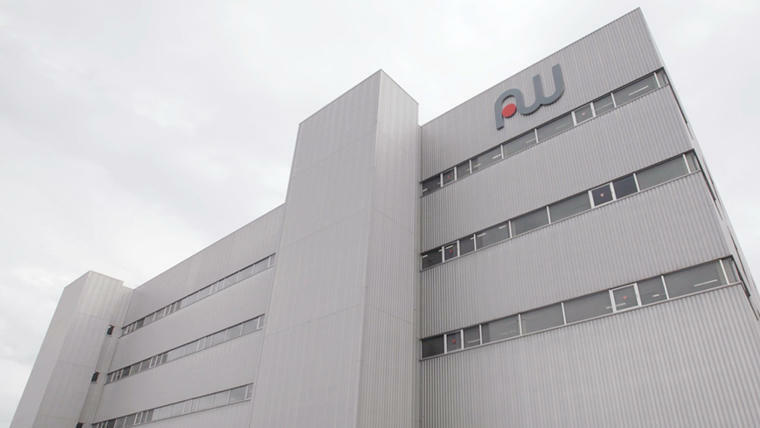 AW chose OMRON as their partner to go forward with making factories smart, automated and autonomous. "We had already collaborated with OMRON through co-developing the high-speed automated X-ray CT inspection system. We started considering the introduction of robots to take a further step forward with automation. At that time, OMRON was also entering the robotics industry and I felt that our goals were in line with each other," says Mr. Osamu Yamato of AISIN AW. At the start of the collaboration, what they first considered was the introduction of an AGV. AGVs commonly run on rails. However, with such AGVs, it is necessary to build the production line based around the rail unless owners wish to change the layout and have changeovers every time they wished to restructure the production line. On the other hand, OMRON's autonomous mobile robot is self-mapping and self-navigated and therefore does not need a rail. "The greatest factor in making the decision was that these robots are small and able to drive through narrow paths and could make small turns. It was also nice that they could turn 360 degrees on the spot, could sync with multiple units and that their batteries wouldn't deteriorate even with frequent charging." Source: AISIN AW Co., Ltd. The next was to utilize robots to fully automate the transport between different stages of circuit board assembly. Robots and the overhead conveyor system are in charge of attachment and detachment of components to each equipment and transport between stages. The visual inspection is done through the cameras of the image processing system. As these tasks previously required the work of ten people, automation of this process can be expected to bring about a significant reduction in cost. Source: AISIN AW Co. Ltd. 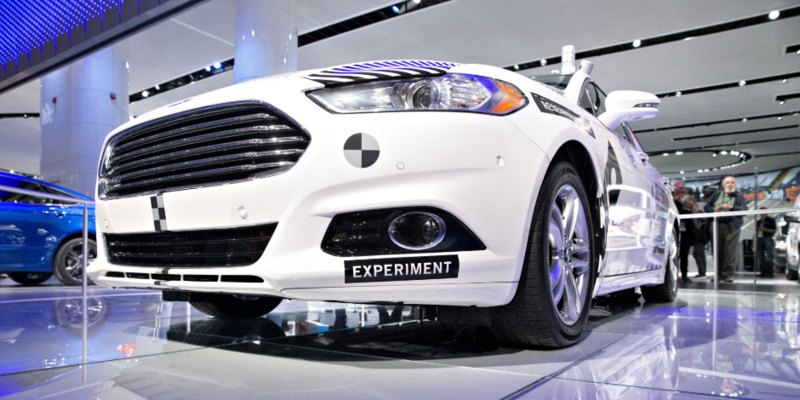 Using image data of inspection results that are being collected, attempts have been made to reproduce with AI the expert-level detection conducted by humans. Some favorable results have already been achieved. "At the moment, a lot of people are involved in the production line. Even if something was not their target for inspection, if there was the sense that something was askew, they could activate the alarm and take some sort of countermeasure. But with a fully automated system, we can no longer do this. 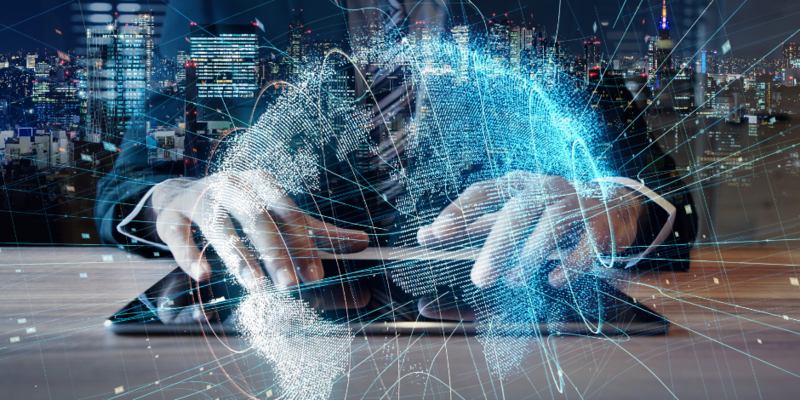 As what we produce are in-vehicle equipment, it is difficult to fully rely on AI for inspection, but AIs should be capable of identifying the things that are "out of the ordinary" and activate the alarm. We believe that using AI for such purposes is also important considering the fact that we wish to fully automate the process," says Mr. Kunihiro Yamada of AISIN AW on the significance of effective utilization of AI. "It would not be possible to suddenly introduce AI when it actually becomes necessary in 10 years. We need to start using it now, because it is evident that this technology will be necessary sooner or later. Therefore, we should start taking measures now." Having evolved both the soft aspects of making its plants smart, automated and autonomous as well as the hardware, AW continues its evolution by now focusing on the design phase prior to production. In addition, AW is currently developing its own system to simulate operating conditions of production lines in a virtual environment. The mindset to rapidly try out any ideas that could solve problems in the production line is what drives AW to continue its innovations. OMRON, on the other hand, is driven by founder Kazuma Tateishi's words to "To the machine, the work of the machine, to man the thrill of further creation." This corporate philosophy is what drives the company to continue its efforts to advance the manufacturing industry. 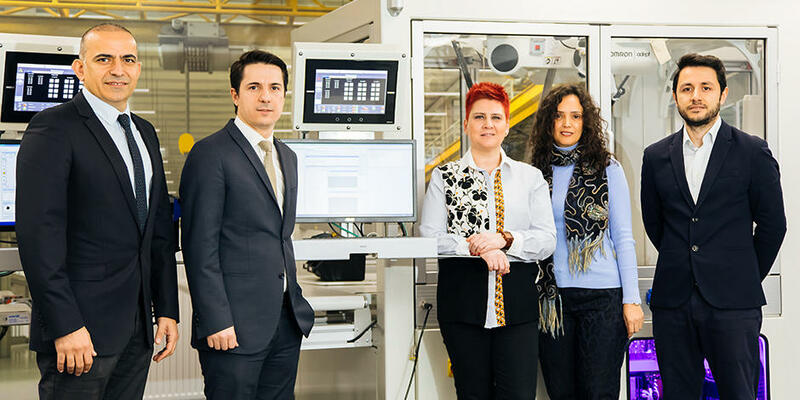 The fact that the philosophies of the two companies are in line with each other strengthens the collaborative relationship between AW and OMRON. "The aim is not to create a workplace where people can slack off, but to create an environment where everyone can work comfortably and feel motivated by their work. Letting robots do boring manual tasks and having people work in fields where they can exercise their creativity and feel motivated--that is the sort of environment we wish to create," says Mr. Yamada. AW's journey to innovate its workplace will continue.